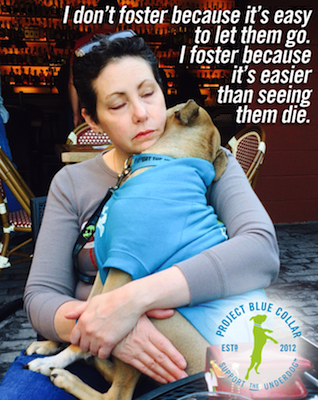 Project Blue Collar (PBC) started in 2012 when Kristin and Carole, who are long time animal rescuers, wanted a way for rescue dogs to stand out and have their stories heard. 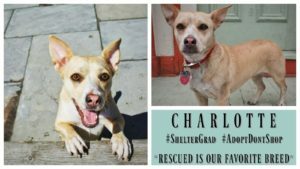 They realized that the public’s perception of rescue dogs is influenced by the marketing strategies of well-funded, national animal welfare groups (you know, the ads with Sarah McLachlan music that rip your heart out?). They engender our pity with tragic images and leave us thinking that rescue animals are damaged goods. 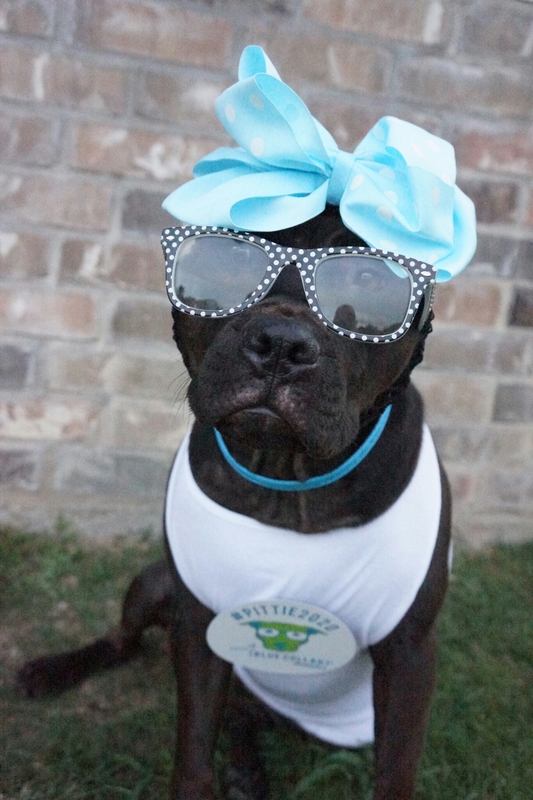 These marketing campaigns succeed at fundraising, but they aren’t helping get dogs adopted. Then it hit them: If people wear causes on their wrists, why couldn’t adopted dogs wear theirs on a collar? So, Project Blue Collar was born. 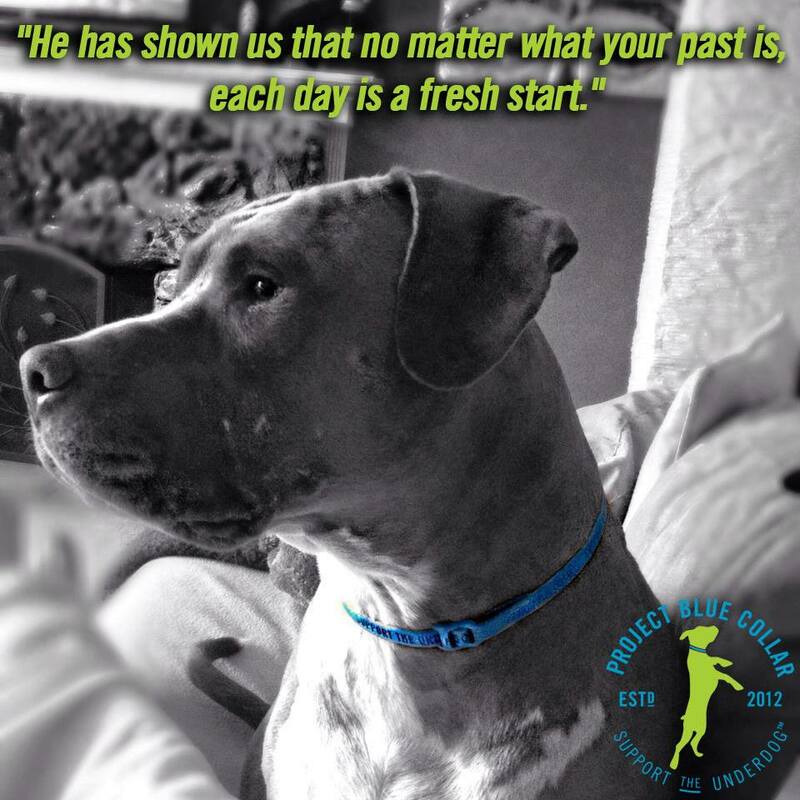 PBC’s Support the Underdog® Blue Collar (which looks and feels just like the familiar, rubber wristband) is an accessory collar worn along with a functional collar and lets dogs be the marketers of their own cause. 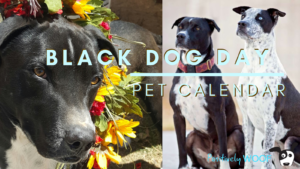 The Blue Collar allows you to identify your dog as adopted, gives an opening to tell your rescue dog’s story, and encourages people to adopt. Ever since the start of PBC, Kristin and Carole have been so deeply moved by the stories they’ve received about people’s adopted pit bulls. They’ve shed so many tears reading about the variety of ways these pitties have enriched their owner’s lives, despite some horrific pasts. They’ve had numerous accounts of pit bulls making the difference for people who have suffered from depression or had dark thoughts. They all say that when they looked at their pit bulls and realized what their beloved dog could overcome, they found the inspiration and strength to push on. Kristin and Carole really don’t see pit bulls as too different from other dogs, but what sets them apart in their experience is their courage, tolerance, sense of humor, loyalty, and mind-blowing resilience in the face of horrific pasts and ignorant discrimination. 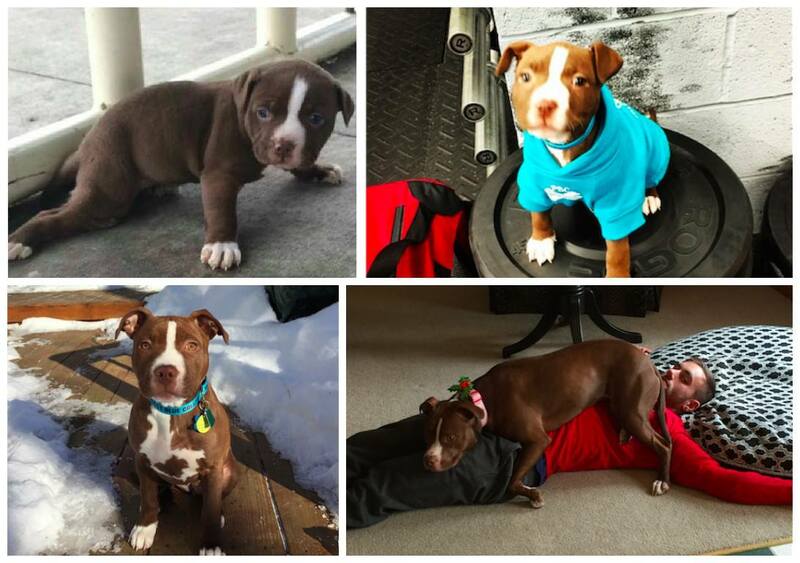 Carole has lost count of how many chunky pitties she has fostered and she has two bully/boxer mixes of her own. Kristin had the unexpected–and inspirational –opportunity to foster a 4-week old pit bull puppy, Little B, who was abandoned in a park in winter with a condition called Swimmer Puppy Syndrome. With the help of yoga mats for traction and taping her rear legs in alignment with her hips, Little B’s courageous spirit and powerful will allowed her to develop enough strength to walk on her own after 5 days. 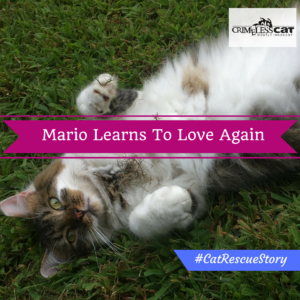 Her story and incredible progress touched a lot of hearts. 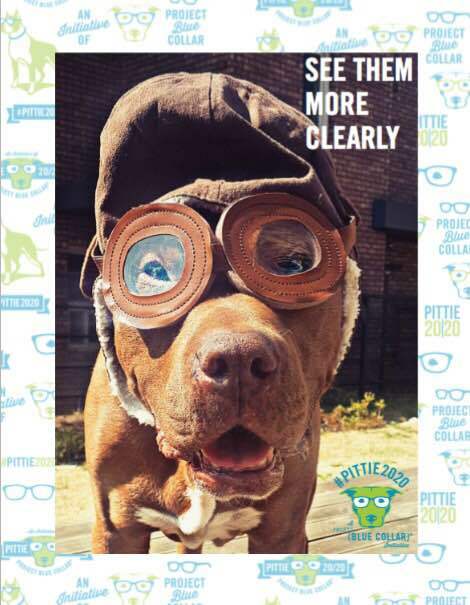 Carole and Kristin came up with the idea for Pittie 2020 because they wanted more people to have a shared vision of what wonderful dogs Pit Bulls truly are. 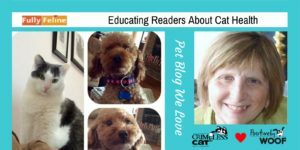 When they started PBC, they were overcome by the volume of wonderful stories they received about Pit Bulls and we were so inspired by what they overcame in order to have a happy life. 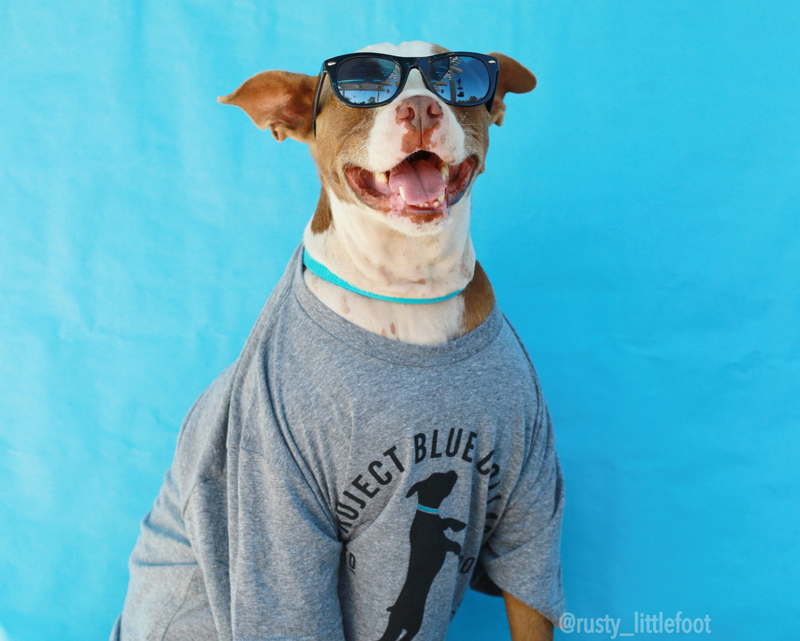 They felt exhausted by the discrimination faced by Pit Bulls and their responsible owners, so they believed their reach could help send a positive message about them. They wanted to encourage people to show pit bulls in happy, goofy ways because they feel that humor and levity can open people to learning more about this often-misunderstood breed. They’ve gotten such a kick out of seeing how people have responded to this campaign and the witty creativity that’s come with it. 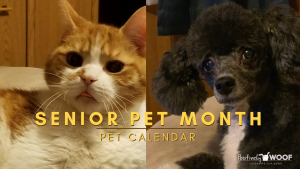 It’s just hilarious to see what these people can get their precious pitties to do! Throughout the year, Project Blue Collar gives back to the rescue community in two ways: through their Buy One, Give One Program, and by donating funds for medical emergencies through their Looking Backwards, Moving Forwards Campaign. 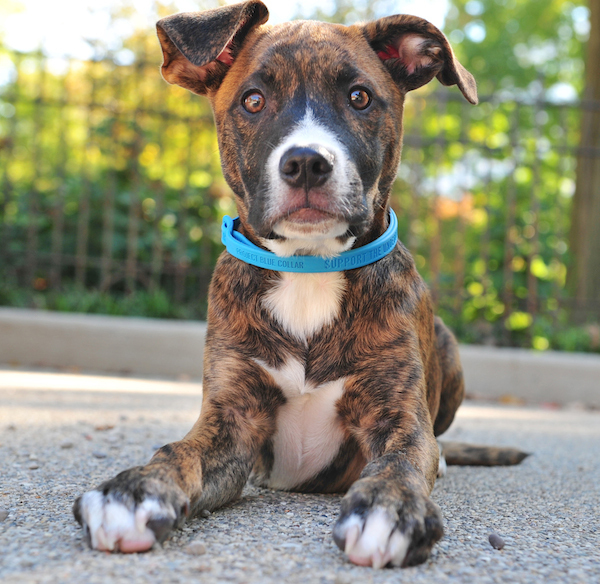 PBC’s Buy One, Give One (BOGO) program is based on sales of their collar and leashes. For every collar or leash purchased from their I Am A Rescue or Support The Underdog collections, the equivalent is donated to a rescue group. 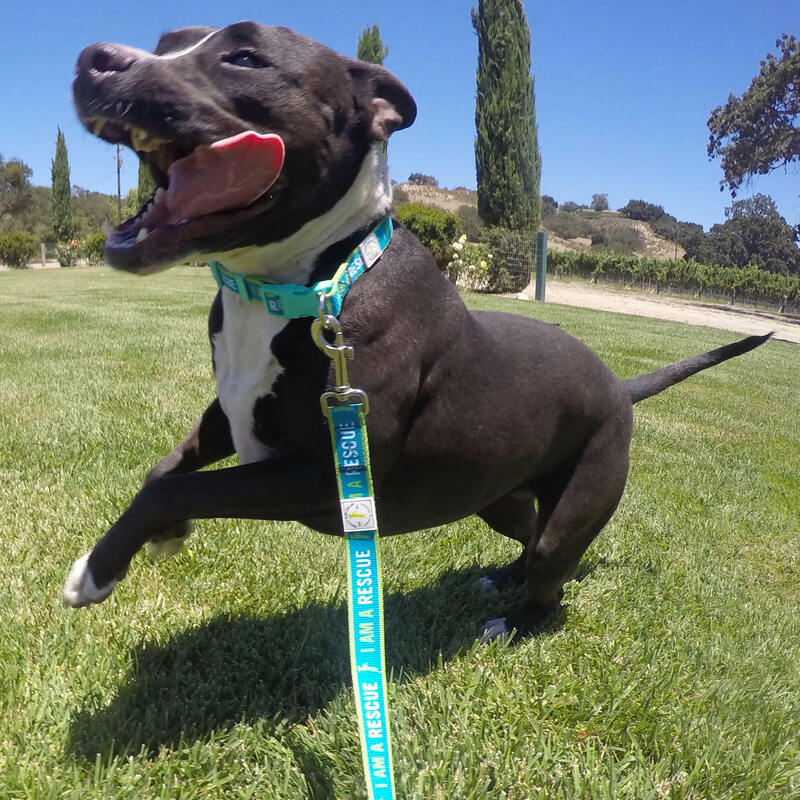 These collars and leashes feature taglines meant to raise awareness about dog adoption and encourage people to be advocates for rescue dogs in their communities. The BOGO collections are the first products they have brought to the retail market. 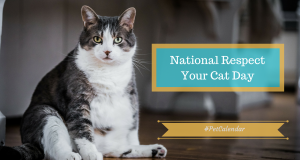 The retailers who carry these lines get to select the rescue organizations they wish to support, so that it becomes a community program. 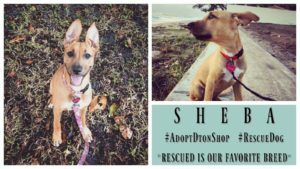 The consumer is thrilled to know they are helping a local group, the retailer is raising awareness for the rescue , and the rescue group is driving traffic to the retailer – all while generating community advocacy for dog adoption. 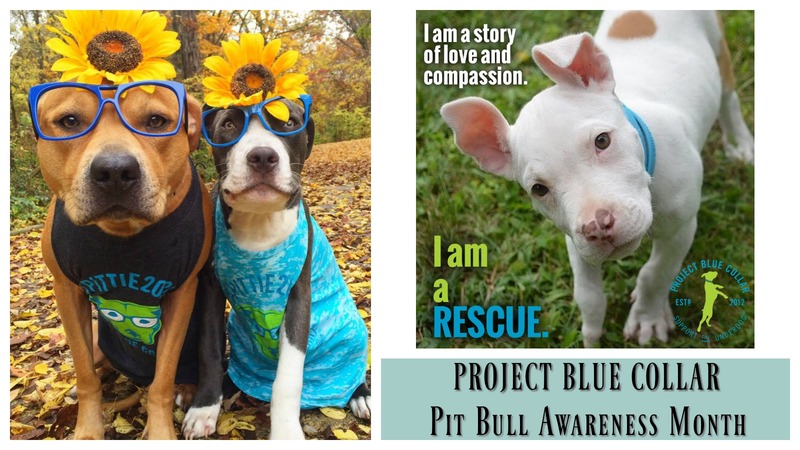 For sales of their BOGO collections through PBC’s online store, they select two rescue groups per month to receive the donated collars and leashes. Groups best suited for the online BOGO program are ones who actively engage with their supporters and can consistently share the message of PBC through a variety of communication tools (social media, emails, on their website, etc.). The more awareness that the Rescue Partners can create about the PBC BOGO, the more they value they get out of it. PBC’s goal for the Looking Backward, Moving Forward (LBMF) campaigns is simple: To ease the burden of medical emergencies on rescue groups by raising funds in a time- sensitive manner. 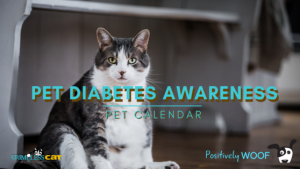 PBC does this by initiating a campaign where a large percentage (from 75-100%) of sales from a PBC product, during a specified timeframe, is donated to the rescue group. The LBMF campaign recipients are selected based on the dog’s medical case and the immediate need of the rescue group. 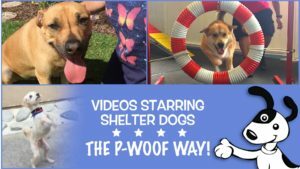 PBC generates awareness about the dog in need and ways to donate directly to the rescue group through emails and social media channel. Their LBMF recipients also do the same to communicate to their supporters about generating the PBC donation. Project Blue Collar has worked with groups from Hawaii, to Northwest Territory in Canada, to Maine – and everywhere in between. The groups either reach out to PBC or PBC finds out about some of their inspiring, heroic efforts. They look for groups who are active on social media, engage their community, and are making a difference in their communities. 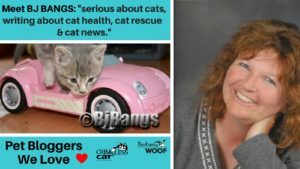 They’ve worked with breed specific rescues, no-kill shelters, and foster-based groups. The size or notoriety of the organization doesn’t matter to them – it’s more about their heart and soul, and the depth of their need. PBC also likes to collaborate with other like-minded businesses who are dedicated to raising awareness about rescue dogs. 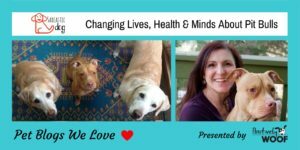 Overall, Kristin and Carole see PBC as a unifying force, bringing tnon-profits, businesses, animal welfare leaders, and passionate dog lovers together to shine a brighter light on dog adoption. The response to Project Blue Collar has been amazing. 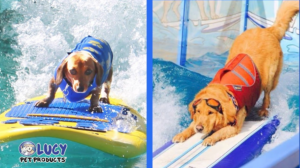 They’ve shipped Blue Collars to 6 continents and all 50 states, so their message of wanting to help dogs in need is universal and all-inclusive. At the same time, they think that PBC comes as a welcome relief from the sad, deplorable photos that circulate on social media about dogs in need. While these heart-wrenching images can certainly elicit a response, people are really touched by hearing stories of redemption, and ultimately are inspired to join something bigger than themselves. PBC also gives people a chance to show their “rescue pride” in a simple way. 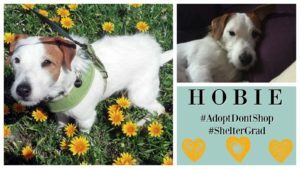 People love to tell their adopted dog’s story, and they’re providing that vehicle through the Blue Collar and by spotlighting their dog’s story on social media. 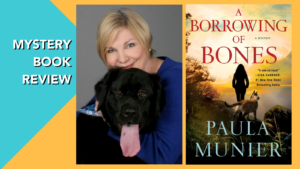 They’ve heard that people want to adopt a dog just because they’ve read PBC Dog Rescue Stories – which is exactly their desired goal! Getting involved with Project Blue Collar is so simple! 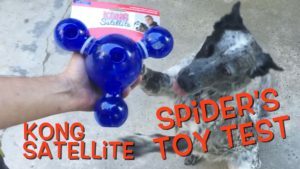 The fastest (and easiest) ways to get involved are to: 1) Purchase a Blue Collar, 2) Tag PBC in pictures of your Blue Collared dog, and 3) Send PBC your dog’s rescue story. PBC believes that stories have the ability to save lives, so sharing them with the world is one of their top priorities. 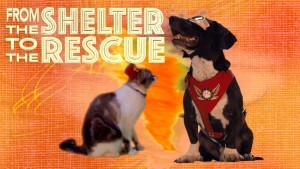 Lastly, if you know of any rescue groups or boutique retailers who would be interested in PBC, please let them know! Saturdays are known for being the most popular day for #adoption events, but did you know that Saturdays are huge for #transporting dogs to rescues, too? This photo is a shout out to all the transporters who are giving “freedom rides” to dogs today (and every day). 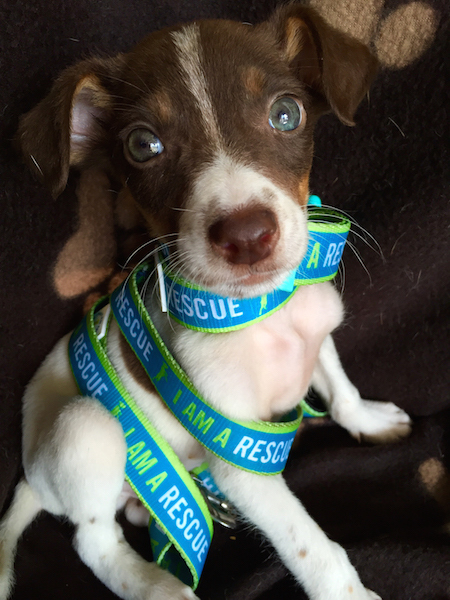 It was taken by #LuckyPupRescue and represents the #BOGO collars and leashes donated to them by @gorhamgrowl. Gorham Growl is one of our retail partners in Gorham, ME and they selected Lucky Pup Rescue to be the beneficiary of our BOGO collections of collars and leashes. We *love* seeing the tags on the collars – it’s a symbol of the fresh new start that the incoming dogs to Lucky Paws get to have! Let us know if you know a retailer in your area that would like to be a part of the PBC BOGO initiative! 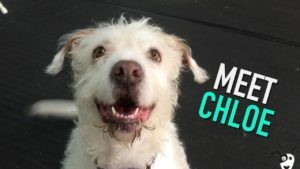 Dog Rescue Stories: Gus Taught His Pawrents What “Man’s Best Friend” Really Means!! 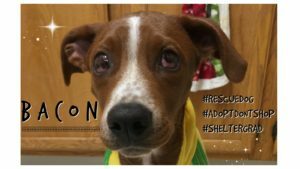 Dog Rescue Stories: Big Daddy Bubbs was Saved Just In the Nick of Time! 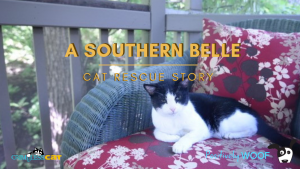 Pet Rescue Stories: Rose’s Good Human Rescued Her From Terrible Living Conditions!